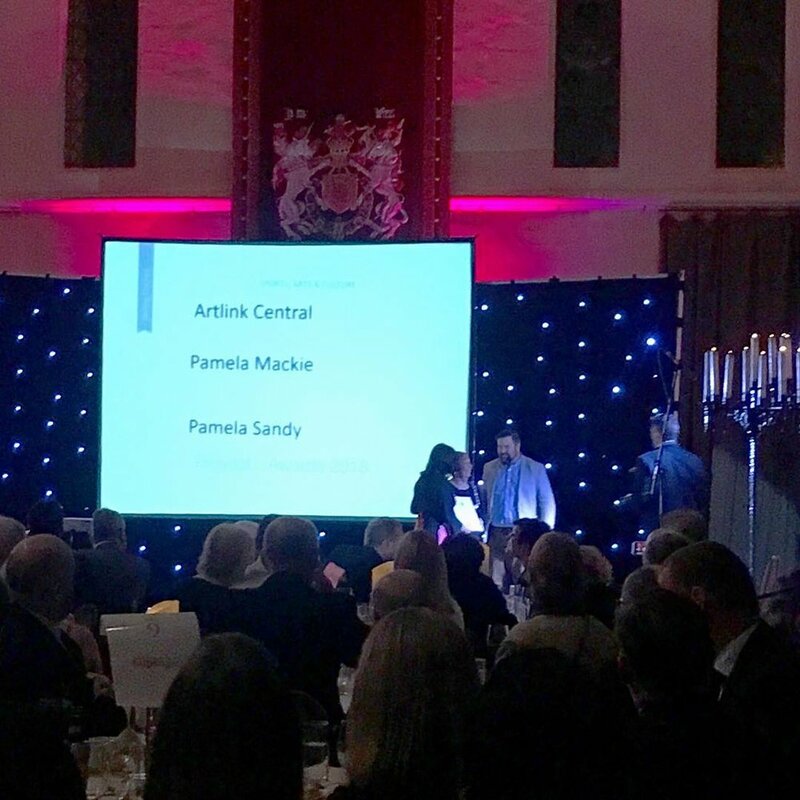 Artlink Central were delighted and humbled to be awarded the Provost’s Award for Arts and Culture in 2018 by Stirling’s Provost Christine Simpson in a special awards ceremony in the Great Hall of Stirling Castle this month. The awards are only made every two years, and this being the thirtieth anniversary of the charity made it a particularly poignant moment. 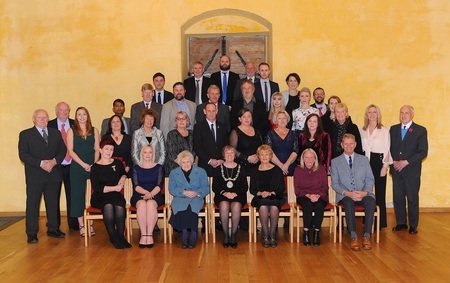 Trustee Heather Milligan and Director Kevin Harrison attended the event which recognised volunteers, communities and businesses in a range of spheres for their contribution to the lives and experiences of Stirling’s urban and rural communities. It was a wonderful opportunity to meet councillors and colleagues and Artlink Central are incredibly grateful to Stirling Council and its leaders for recognising our contribution to Stirling’s cultural offer, ensuring everyone is included.